Beautiful 3 bedroom apartment for sale. With 3 bathrooms, roof top, jacuzzi, solarium. Apartment located in a magnificent zone of Mamitas Beach, perfecto for vacational rents. 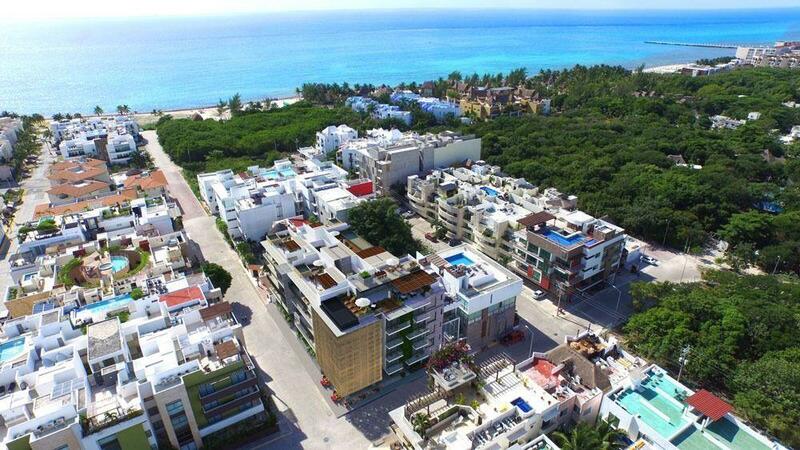 One of the most known beaches in whole Riviera Maya, close to the 5th ave, with all stores and restaurants. On the first level it has a dining room, living room, kitchen, 2 bedrooms, 2 bathrooms, balcony with street view. And on the third floor has a big terace that you can use as a solarium or a place for meetingss wirh your friends. It has partial ocean view.